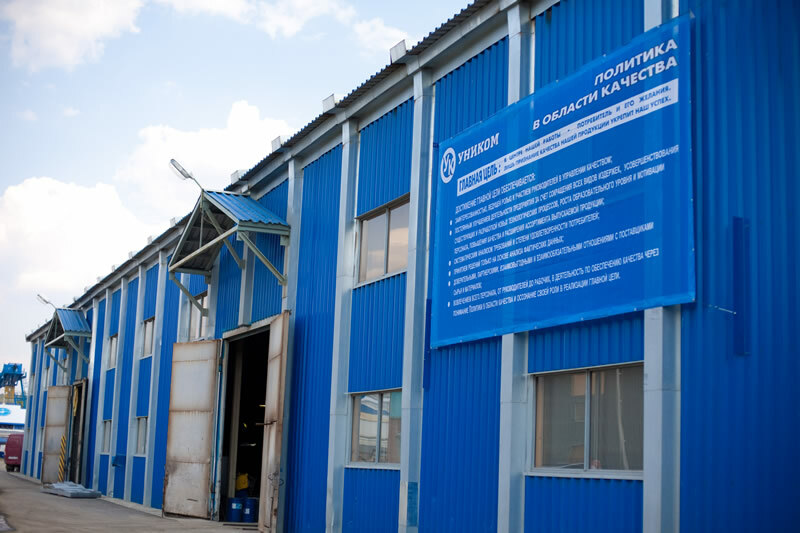 «UNIKOM» plant is one of the leading enterprises on the market of development and production of equipment and spare parts for oil and natural gas industry. Our enterprise has developed the manufacture of broad range of products since 2000. 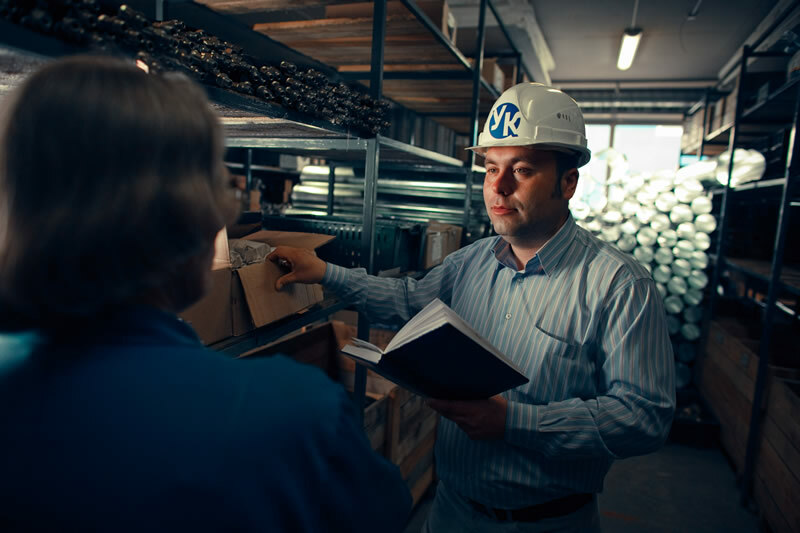 Among them there can be mentioned: self-contained unit of preparation of saline solutions, filtering units for preparation of saline and process solutions for injection into wells, process tanks of volume of (6-80) m3 for execution of well repair work, receiving hayracks for delivery of pump-compressor pipes (PCP) (of lifting capacity of 40-100 t), winding machines and unwinding machine УЭНЦ, components for well-control equipment and pipeline accessories, products of polyurethane, hoses of high pressure (drilling hoses) and lots of other products. Considering oil and gas industry’s increasing need of mobile equipment, «UNIKOM» plant offers wide range of 2-axial and 3-axial tractor chassis. We offer chassis with possibility of assembly of mobile buildings, process tanks, diesel power plants and other optional equipment on it. 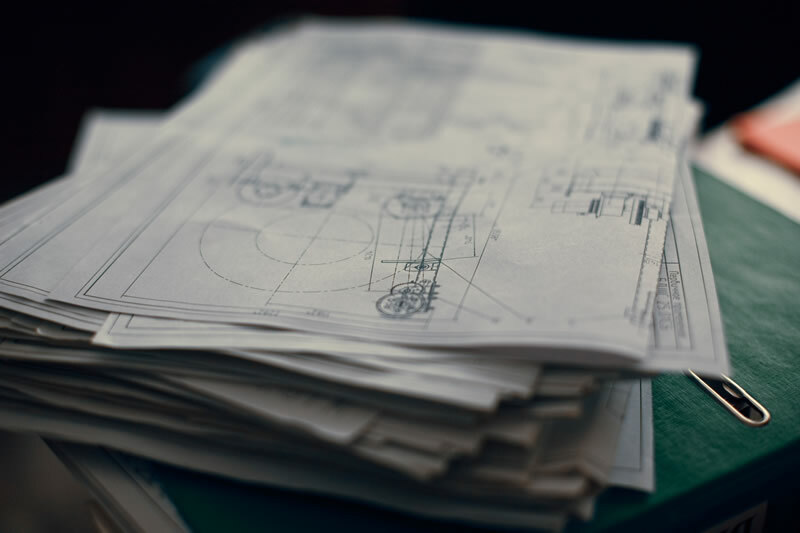 All the technical solutions are based on own developments (more than 10 patents on inventions) or developments of Russian leading Institutes of Higher Education. 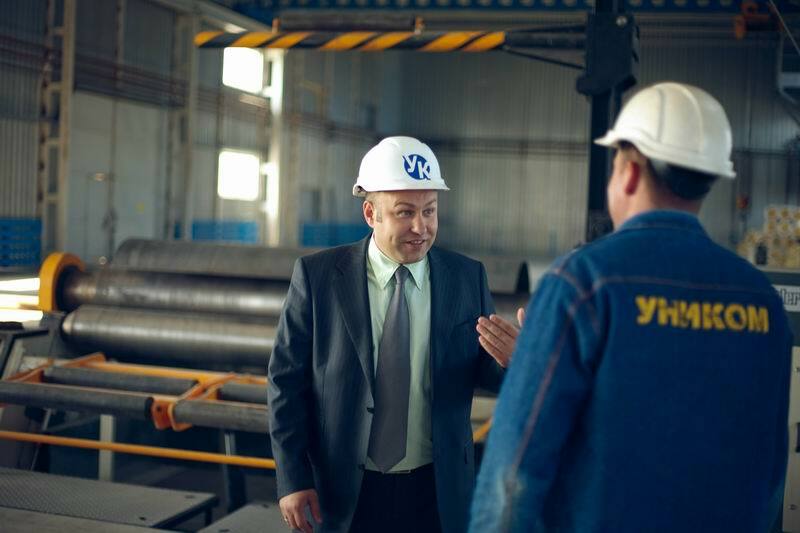 Specialists of the enterprise regularly take part in theoretical and practical conferences of Scientific and Industrial Association of Armature Engineers (the enterprise is its member since 2001). As a result products of the enterprise are not only notable for innovative approach, but also correspond to all the requirements of Russan GOSTs (State Standards) and API standards. 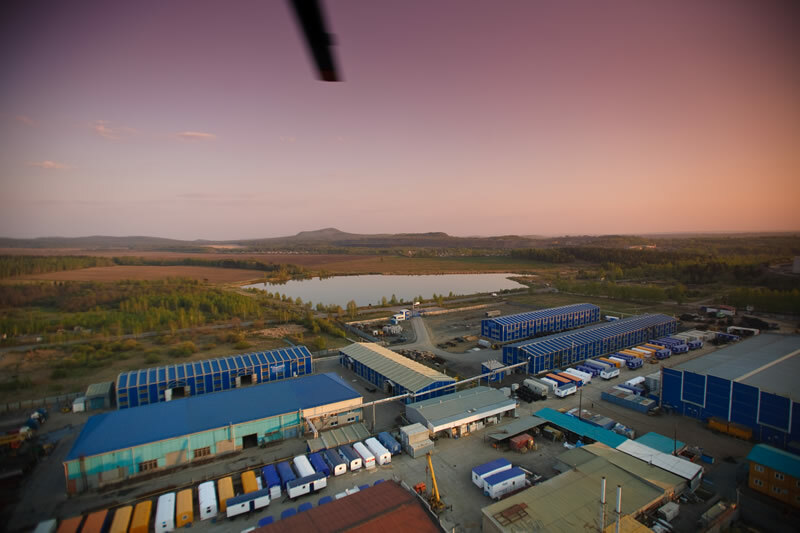 Therefore, the plant successfully competes with leading world manufacturers. Mechanically manufacturing, blank, assembling and welding productions, urethane elastomer products production areas are incorporated into the enterprise. Modern painting line is developed and implemented in common with Gubkin Russian oil and gas academy. Marketing, quality control and delivery services play a great role. But our main advantage is highly skilled and well-educated employees. There is nothing impossible in case of presence of considerable production plant, economic basis, competent marketing. 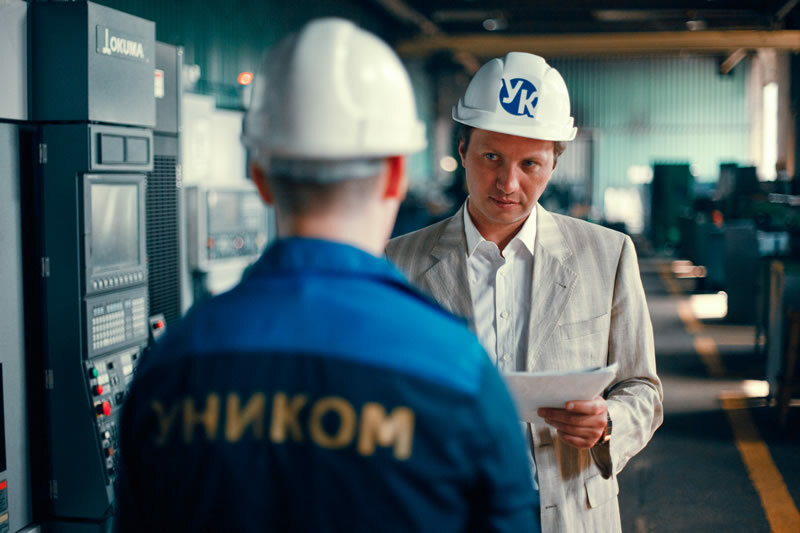 «UNIKOM» plant has concluded contracts of delivery of oil field equipment with “Rosneft”, “Lukoil”, “TNK-BP”, “Surgutneftegas”, “Tatneft” and many other enterprises of gas-and-oil producing industry, service companies, producers of stop and control valves. Our experience allows to work with high efficiency, quality guarantee on all the delivered equipments and components on beneficial terms for clients and with use of individual approach. We permanently implement new economically grounded technologies. This gives us confidence in conservation of achieved characteristics for today and their improvement in the future. 623107, Russia, Sverdvovskaya olblast, Pervouralsk, 25 Furmanova str.